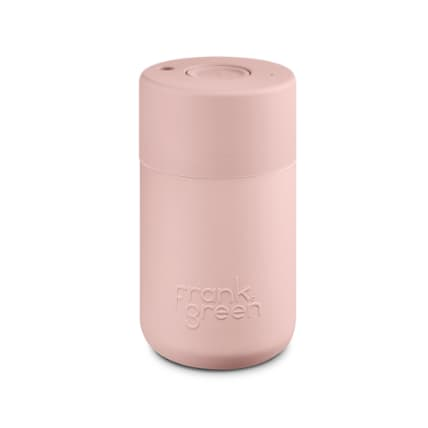 A stylish reusable smart coffee cup by Frank Green, made with premium materials using innovative technology, making them a durable essential to your everyday carry. The cup's main features are: -A clever one handed push button. -Spill resistant, secure screw-down lid.